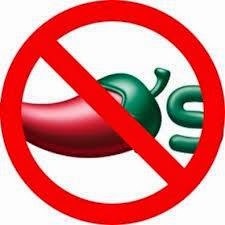 An Open Letter to Chili's Bar and Grill Corporate!! Hey Chili's Grill & Bar﻿ and Chili's Grill & Bar﻿ (Vista) just wanted to let you know how much the competition TGI Fridays﻿, the new Buffalo Wild Wings Oceanside, and a bunch of local places appreciates you taking back the National Autism Association﻿ fundraiser to prevent wandering for children with autism. Our Friday nights (party of 4 -10) visits and 20-30 people visits (family/company in from out of town/Family Birthday parties/fundraisers) are increasing their bottom lines. Being a parent of child with autism who is almost 13 (and wanders), in my 10.5 years of living this world, this life, I have seen and read almost every story I see about kids with autism who wander. I also help run a Facebook page dedicated to this subject and finding our kids safely. According to the NAA's stats 50% OF KIDS WITH AUTISM WANDER! In my opinion 1 to 2 of those die a month from WANDERING. They die from drowning, they die from getting hit by a car, they die from the extreme tempatures of seasons. Also if you just think it is the kid, like mine who doesn't talk and can't ask for help that wanders, YOU'D be wrong. It is 50% of all of our kids. Tomorrow it will be 4 months since you did the unthinkable and changed your mind. I wonder how many children with autism have wandered and died? I wonder how many of them could have been saved if you had kept your word? At least one local child in my circle of friends and my city wandered and was gone for 1.5 hours. Thanks to the NAA wandering program and our local Take Me Home Program there were 7 Oceanside Police Officers (heroes) at their house in minutes and they took the threat seriously. Thankfully he lived!!! No thanks to you! Thanks to families of kids with Autism and families like mine who take the time to educate our local law enforcement!!! You're upper management is the opposite of hero you are WEAK and caved when our community needed you. Happy 4 month anniversary (tomorrow August 6, 2014) of not having my money or that of most of my community. I pray that no one in that upper management team that made this decisions has a kid with autism or a grandkid with autism, because you all will CRACK under the pressure and our kids deserve better then YOU!! Now all I am left with is bad memories of how much we have spent with your company over the years, YES I AM BITTER!!! Happy to give money to companies who stand by their promises. Honestly, in my mind, there is only one company that you out rank in diservices to families like mine and that is Autism Speaks (yeah I don't believe they are a charity, I have read their tax returns)! PEACE Out (OFF)! I'm still taking my business else where. Mom to Austin Primer, age 13 on September 1st, 2014, who wanders!!! PS Autism parents are like elephants we never forget, figure out how to fix this problem with our community!! P.S.S. Since 4/6/14 when you canceled the funraiser that was supposed to happen the NEXT DAY, our family has had 17 Friday nights and at least 5 birthdays/family gatherings.